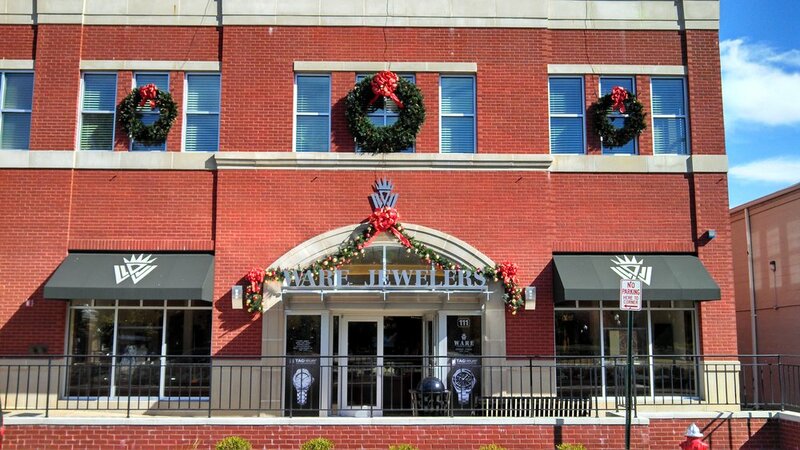 Our creative designers can transform your restaurant, shopping center, assisted living facility, hotel or other commercial business into a warm and inviting holiday atmosphere. Our professional holiday lighting designers will create a custom display to match your business. What can commercial holiday lighting do for my business? Create a positive holiday spirit! Let us help you create that memorable holiday for your employees and customers without the hassle. Glitter & Glow is your one stop shop for your commercial holiday lighting needs. From simple designs, to that elaborate Christmas lighting display you have always wanted, we will help you see it through. Our goal is to create a memorable experience that will enhance holiday spirit without any hassle to you, the customer! Click below to see more examples of our Commercial work!